Last updated: 11/16/17 - this is a work in progress, stay tuned for updates! Digital Voice (DV) is one of the fasted growing segments of Amateur Radio today. These DV modes include technologies such as VoIP, P25, DMR/TRBO, Fusion, NXDN, D-STAR, DPMR etc. The use of Digital Voice (and data) technologies on the amateur radio bands is coming to a repeater near you very soon! Several Rochester and CNYclubs and repeater owners are in the process of acquiring Yaesu System Fusion repeaters. There are also several D-star repeaters in WNY and a handful of DMR repeaters in the Albany area. We will use this page to help cover some basics on DV and also share local developments as they happen. Note: there are several other DV modes not covered in this summary! -Will the digital networks talk to each other? - Is it legal to use these modes on the ham bands? -Will D-Star radios talk “D-Star” with DMR, Fusion or P25 radios? -Will DMR radios talk “DMR” to D-Star, Fusion or P25 radios? -Will P25 radios talk “P25” to D-Star, Fusion or DMR Radios? -Will all the radios talk conventional “FM” to each other? -Is there any radio that works in more than one DV mode? - Can I listen to Fusion, D-star or Fusion on my digital capable scanner? No, not at this point. Though there are some manufacturers working on radios that should be out in the near future. Their are a few recivers like the AOR AR-DV-1 and the Icom IC-R8600. Depending on your scanner you may be able to listen to P25. (38,724) D-Star Registered US Trust users. - (497) Fusion Repeaters in USA as of 5/28/15, note; was (262) as of 3/16/15 (from Repeater Book) .......and growing very quickly! There is quite a bit of discussion of Digital Voice (DV) modes on the local repeaters lately, especially System Fusion. There are several Fusion repeaters in the works here in Upstate NY and all are expected to be on-line before this summer. We found some helpful information from a club that was part of Yaesu’s Beta program and thought that we would share it here. System Fusion is a digital communications methodology for voice and data communications, including pictures. It utilizes a customized – yet open – standard that utilizes C4FM FDMA – an advanced form of audio frequency shift keying (AFSK). It is like D-STAR - in that it is a digital methodology designed by hams, for hams. Other common digital methodologies used by hams, such as DMR, NXDN and P25, are borrowed from commercial Land Mobile Radio products. None of these are directly compatible with any of the others. While there are some proprietary elements to each, they all have published specifications, so that third-party developers can produce hardware and software for each. D-STAR uses GMSK encoding, different than the C4FM FDMA designs of all but DMR – which uses TDMA. The networking aspects of System Fusion remains to be unveiled, but it is possible that the linking and networking of an increasing number of repeaters will be implemented in a manner similar to the reflectors that support D-STAR. Also like D-STAR, the sound of digital voice is similar, although most users feel the clarity and fidelity of System Fusion is an improvement over D-STAR. The list of comparisons could go on in some lengthy detail, far beyond the scope of this page. Your personal research is encouraged. You mentioned that System Fusion is an open standard, but isn’t it just proprietary to Yaesu? While Yaesu developed System Fusion and continues to expand the product line further, they took steps early on to publish the specifications. This means that those interested in developing hardware and software independently can do so with the specifications laid out for them. Already, one company is taking orders for a multi-personality portable, with more being developed by other independent concerns. Now that the DR-1X is in production, what happens to the beta-version DR-1 that the GCARC has? Our DR-1 is the result of an opportunity that was cultivated over a year ago. It has been in constant operation since spring. Even though the DR-1X is being sold and the repeater is popular, the field trials are still important to Yaesu. The testing is open-ended and will continue as we submit feedback and product review information, along with upgrade suggestions (which have already been submitted and reflected in the production model). The long-term goal is to keep this unit, acquire a new DR-1X or keep both, when the opportunity presents. What radios are System Fusion capable and where can I find them? Yaesu produces two transceivers, which have been on the market for some time. The FTM-400DR is a dual-band mobile that features a color screen. It can display a variety of information regarding frequencies, GPS information, location of other digital stations, plus pictures and more. The FT-1DR is a dual-band portable that has many of the same features, without the color screen. Both units can accept the optional camera microphone and be used to transmit pictures. Also, both support “good old” analog FM communications as well as digital. 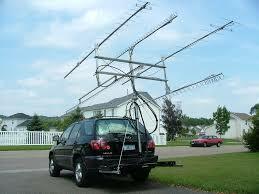 These products are available from amateur radio retailers, such as Ham Radio Outlet in nearby New Castle, Delaware. Currently, there are special pricing promotions in effect. 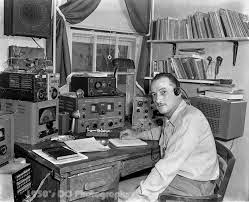 For more information, visit HRO’s web site – www.hamradio.com. As mentioned above, Connect Systems will be selling a multi-personality portable – the CS7000. You can get updates on this product at www.connectsystems.com. Can I use any 2M FM amplifier if I want more power from the FT-1DR? If you purchase the portable and want to start using it as a mobile, you’ll be happy to know that any Class C (FM/CW) amplifier with an input in the 5W (or less) range will work just fine. Many of us have at least one of these at home, so that may make the FT1DR even more attractive - for the budget-conscious ham. For any mobile use, please configure things so that your eyes can stay on the road. When someone is using the digital mode on the repeater, I hear sounds like a high-speed modem. Is there some way to silence that sound? System Fusion, unlike some other digital voice methodologies, allows state of the art digital C4FM users and legacy analog FM users to share the same repeater. All recent transceivers have a “tone squelch” or “CTCSS tone decode” option that can be enabled. When the repeater is used for FM, a tone of 131.8 Hz is transmitted – the same as the one required to access it. Setting this function on your radio(s) will silence the audio until it receives a signal containing that tone. That way, you won’t hear the digital signals. I don’t want to interfere, but if I can’t hear the digital transmissions, how will I know when the repeater is being used? In addition to listening for the frequency to be clear before transmitting, look at your activity indicator. It may be a light, meter display or both. Likewise, the digital transceivers have indicators that let users know if there’s an analog conversation in progress. Both digital radios can be configured to automatically switch to analog, so that conversation can be heard. If you haven’t seen or heard anything for a few minutes, it’s a safe bet that the repeater isn’t in use. Is there a commonly used simplex frequency for digital use, when I don’t want to use the repeater or it’s being used already? The frequency of 147.525 MHz is the “watering hole” for System Fusion simplex activity in our area(NJ – NYC). We also encourage any non-repeater WIRES-X Points of Presence in the area to be established there. Is there a net or roundtable specifically for those of us with System Fusion gear? While you can operate digitally on the repeater at any time, we will be setting up a weekly roundtable as more and more digital users join in on the fun. Many times, this happens during “drive time” as the number of digital users increases. Please note too, that use of the GCARC repeater use is not limited to its members. All of our repeaters are open. All we ask is for good amateur practice to be maintained and priority be immediately given for emergency situations and exercises. What about networking or some way to link to other System Fusion users and repeaters? As Yaesu rounded out the product line, they introduced WIRES-X as a high-speed way of interconnecting repeaters and users. WIRES-X has been on-line in Japan for some time. Recently, units have become available in North America and the list of users is regularly being updated. Already, some members of the GCARC and other area clubs have purchased these units and set up nodes. This aspect of digital communications is exciting and developing rapidly. Those of us with WIRES-X can talk, exchange messages and pictures. An impromptu demo of this technology was performed at the Hamfest. Interestingly, certain analog FM transceivers can be used with WIRES-X, allowing you to communicate verbally with other hams on the network. While you won’t get the clarity and other benefits of being digital, it is a way for you to join the fun. I understand that my callsign is sent as a part of every transmission. Does that mean I don’t need to verbally ID? As with D-STAR and all other digital voice methodologies we use in amateur radio, your call is sent with each transmission. The receiving radios will display this (and other) information, so you don’t “need” to verbally ID in order to comply with regulations. However – as a courtesy to others – it is good idea to ID as you normally would. This keeps you in practice for non-digital voice modes and keeps others from having to look at their radio displays – especially when driving. Some of these new terms and abbreviations are making my brain hurt, plus I have other questions. Where can I get the answers? Additions to this list will be made as time progresses. Please enjoy the Gloucester County Amateur Radio Club’s resources and give System Fusion a try!